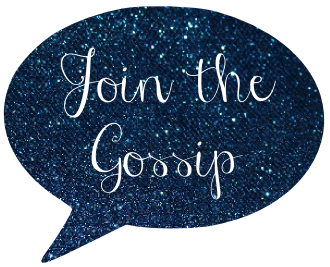 Join The Gossip: Puppy Love! oh my gosh!! she's soooo cute!!! love the name coco. coco is adorable! Congratulations! Crate training is your friend. She's adorable. You'll make a great mommy and she'll be your protector. such an adorable dog..I have also now a puppy a gift from my fiance. That puppy is ADORABLE. I wanna play with her! She is SO adorable!!!! I badly want a pet of my own soon!! Awww, so adorable! I want a dog so bad. This makes me want a puppy! I'm so happy that your family cared enough that they brought all the puppies in - I'm such an animal lover, and stories of them being hurt or neglected (seriously) breaks my heart! Good luck with the training - we had to hire a trainer for Coop, he was AWFUL at first, and now if it rains, he stays on this towel until we wipe his paws! Talk about a transformation! You'll definitely have one too with little Miss Coco! :) (Cutest name EVER by the way!). Awww your new puppy is so cute! AWww so cte!! Look at that little face! i'm already attached too! OMG she's adorable!!! congrats and i love her name. Your parents are awesome for taking the puppies in and finding good homes for all of them. That was so sweet of you to take in the dog! I want on so badly but, like you, am afraid that it will take too much time. I'm waiting for just the right time. Thanks for stopping over to my blog! I'm following you now too! Ahh, she is so stinkin' adorable, Leeann!! Dogs are so much work but totally worth it. Enjoy your new baby!